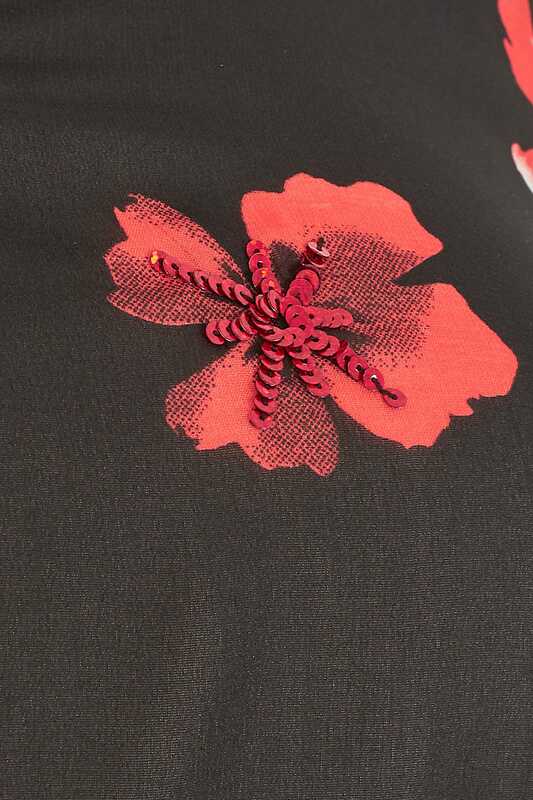 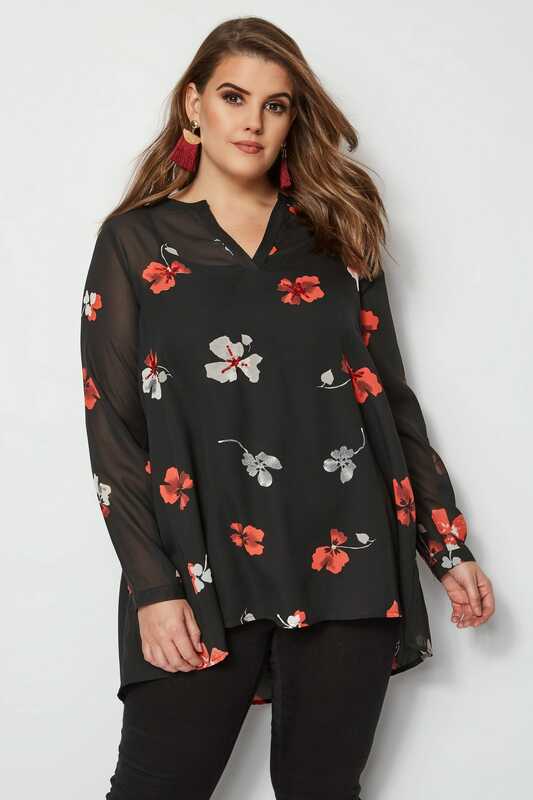 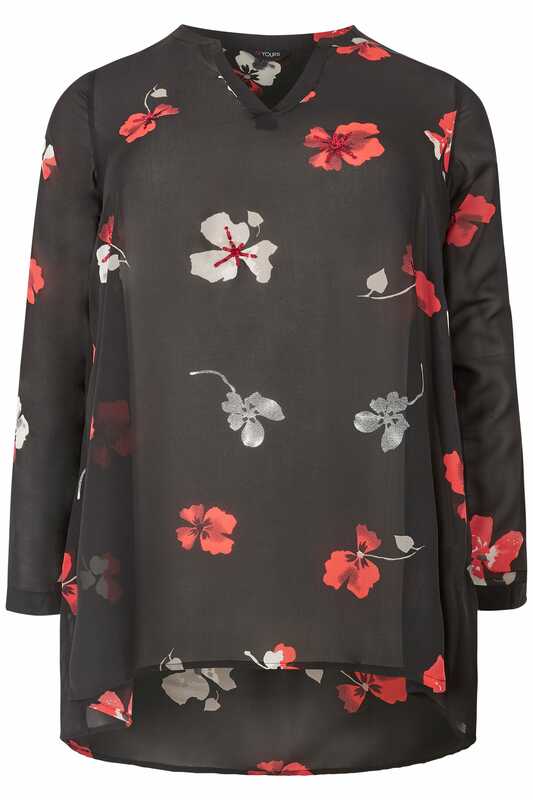 Front length from (approx): 79cm/31.1"
Back length from (approx): 88cm/34.6"
Get behind the dark floral trend this season with this chiffon shirt. 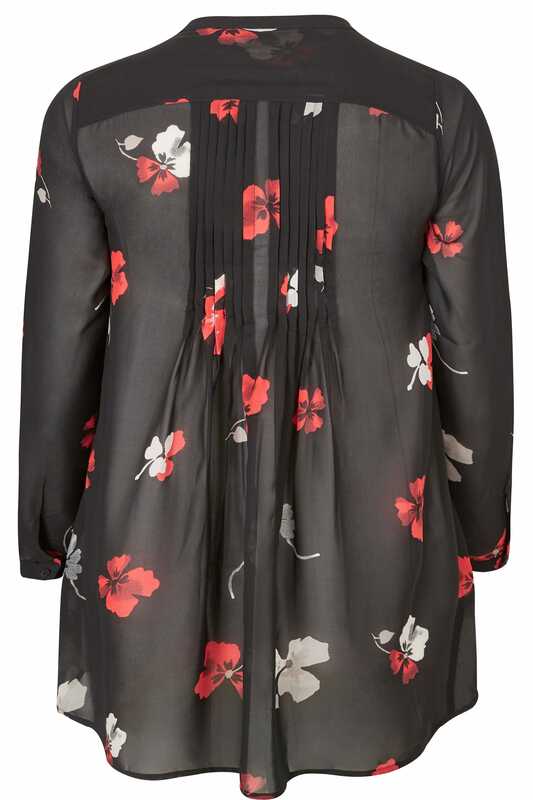 Made from a sheer, lightweight fabric, it features delicate hand embellishment and a soft pleated back. 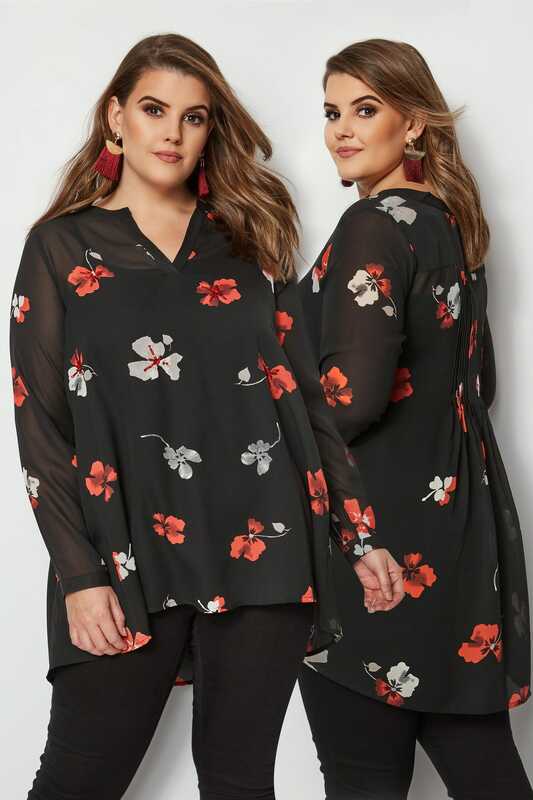 Complete with a flattering dipped hem, it can be easily paired with leggings or dark denim for effortless day-to-night style.